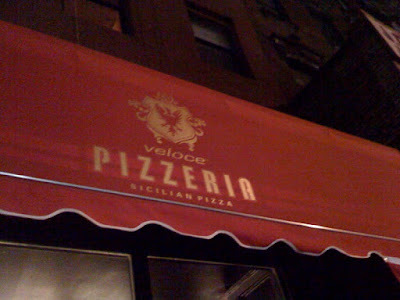 Today, visit www.blackboardeats.com where you can get a coupon code for a 30% discount on your next visit to Veloce Pizzeria in the East Village. Is trouble looming for this year old spot? Check back next week to see what we think. But in the meantime, enjoy your pizza!